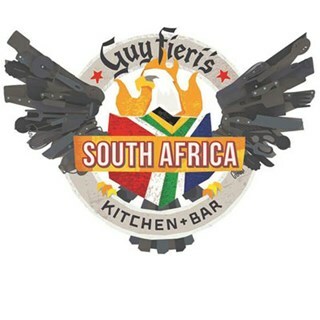 Guy Fieri's Kitchen Bar is the first of it's kind in South Africa. Located in Times Square Casino, Menlyn. Hosting live entertainment, Guy Fieri's signature dishes and cocktails. Perfect entertainment and dining venue. The Mac and cheese burger is a strange combination, but it works very well together. Make sure you don’t eat before trying out this big boy burger! I had the Mac & Cheese Burger. Overall it was very good, however the onions under the top bun was soggy, oily and cold. If it was crispy it would have made the burger excellent. I had the cheese cake challenge and whilst it was humongous, it wasn’t wow at all. Good food and drinks, decent service although sometimes a little slow. Music was great, until the DJ showed up (not the best). Service is extremely slow. We found a cockroach on our table whilst dining. Mains were OK however nachos were extremely soggy. Great experience. Only negative was that we had to ask them to clear our plates about 15 min after our meal. Great atmosphere, good service, amazing food - really enjoyed our experience. Would definitely go again. Great vibe and the food was incredible. The only reason I give service 2 stars is because we had to wait over an hour for our food and almost missed our show. But the waiter was great!! The floors were all sticky and the tables didn't feel like they were clean. Not really worth it for the prices that you pay, the atmosphere wasn't great either, for a Friday night it was pretty empty. My wife has been wanting to eat at Guy Fieris restaurant for almost year, and as a Valentine’s Day treat I thought we’ll go have dinner there. But unfortunately upon arrival, the famous reputation is as far as it went. The vibe was nothing spectacular, when we sat down at our table the floor was littered in dirt and was an absolute mess which put us off food, imagine how the kitchen looks. What a nice place, lovely cold beer and tasteful food with friendly service. Will definitely go back again. Wow the food was amazing!! Great vibe would definitely visit again. Excellent, world-class food. Brilliant service. Bacon-cheese-mac burger... wow! So my mates and I decided to take a drive to PTA, Menlyn to try out this joint. Obviously knowing the name "Guy Fieri" from DDD and GGG. Obviously reading the reviews and ratings knowing it was poor ratings , one needs to try it out for themselves to make their own reviews. Ordered for starters wings, buffalo and peri peri. This is where is bad experience began. Peri peri, definitely not peri peri, it was more like herbs and salt. Asked the chef and he said yes this is peri peri. Then came the infamous mains. Ordered the signature Mac n Cheese burger, signature pulled pork sandwich , signature ribs and the asian chicken tacos (DIY). So at first bite it was a processed pattie. Called the chef and he said it is bought from some other company and it comes in frozen. The ribs and the pulled pork was like i was eating either plain brown sugar .This 2 mains were super sweet. Pulled pork was extremely over done. Asked the chef once again and he said this spec we follow and admitted that there is alot of brown sugar in the spec. The asian chicken taco (DIY) was dry and overcooked which made the chicken super tough and the asian sauce was also super sweet. Sent 3 out of 4 mains back and asked to see the manager. Manager came out to see us after about 20 mins. The manager noticed that the 3 mains were sent back and I ask if this is how the food is prepared and if she had tasted this food? Her response is this is typical American food. Now after  my mates and I have travelled to USA on numerous occasions we know that this is not typical American food and anyone who has been to USA would know this. Also they one have 1 American beer available, which can be bought from and liquor store. This was the 1st and last time i would ever go here. This also explains why the ratings and reviews are shocking. Service and atmosphere was good but the food was really expensive and not good at all, not even average. Could make better nachos at home. We were very excited to visit the restaurant! Watching so many of Guy's shows, we looked forward to our visit. Unfortunately it was a disappointment... The food was not good. My pulled pork was way too sweet, and the meat itself was hard and seemed to be a day or two overdue. It didn't come on a pretzel bun as the menu specified, just a normal bun. The fries were not fresh. My husband's chicken fried chicken was better, but there was more brussel sprouts than anything else and the chicken was a bit hard/dry - almost over fried. There was also no ice-cream so we could not order milkshake. Service was below average. Sadly I do not think we will be back. At first the menu looks a bit pricey, me still coming from a vale where u can pay under R100 for a burger, but its absolutely worth the money for the size of the meal. I was shocked at having to pay over R70 for a non-alcoholic drink, but it still tasted great! The burger was a bit salty, so could have benefitted from something like a glazed bacon for some sweetness. But still it came to my table as big as my head, which is a winner in it self. The star were the signature french fries, which will blow your mind! Yay me, for not living close enough to pick some up every day! They are fantastic! Beyond imagining lucious and delicious! We had lunch at noon, so nothing was really happening in the way of atmosphere or entertainment, but I can imagine it being a hopping place over weekends. Staff were super friendly, service was quick, and overall a great experience I would gladly relive often. We had amazing service. We loved the ambiance. Food was really tasty. We personally had a great experience.